The U.S. Supreme Court legalized sports betting in May, and now some local Philadelphia casinos are gearing up to open sports books in early 2019. Earlier this month, Parx Casino in Bensalem announced plans to build a $10 million sports betting complex. The casino was one of the first in Pennsylvania to receive a sports gaming license. The SugarHouse Casino on Delaware Avenue and Harrah's in Chester have also procured sports gaming licenses with both anticipating an opening during the first quarter of 2019. So, what does all this mean for Philadelphia baseball fans? "There's something about just dropping a few bucks on the home team, the guys you root for and looking for that particular outcome," said Steven Horning, a Philly fan with an interest in the gaming industry. "I've been to Las Vegas dozens of times and it's great, don't get me wrong, but if I see a game I want to jump on because of a late line move or something, I can't do it legally." With the growth of legal sports gambling soon to hit Philadelphia, it's important to have a solid understanding of the fundamentals when placing a bet. For example, if the Phillies are listed as -110 favorites in a contest with Atlanta then that means you'll need to wager $110 to win $100. That's called a moneyline bet. 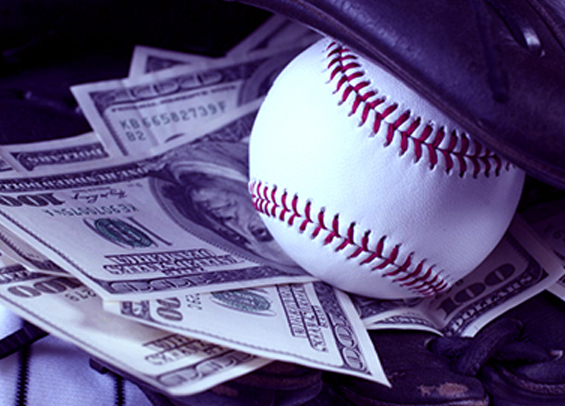 You can also bet baseball on the run line, meaning you can add a run and a half to a team total to place a bet. For example, you may see something as Phillies +1.5 - this means the Phillies are underdogs in the contest and are receiving a run and a half to tack on to their total for purposes of your bet. "It's an interesting and more enjoyable way to look at a ballgame," said Horning. "It keeps you on your toes, for sure." Even though the craze soon will be betting in person, if you live in New Jersey you also have the option to use Pennsylvania online sports betting. If this is the route you decide to go though, you'll want to ensure whatever sportsbook you go with is reputable, provides solid bonuses, and delivers a top-notch customer experience. "Yeah, you have to be careful out there if you go the online route," Horning said. "There's some great sites out there, but there's some bad seeds too. It's always better to have piece of mind."